​Morgan founded Horse Show Ventures in 2002 working with a strong community of experienced equestrians, trainers, judges, and exhibitors, to develop a show series that celebrated a sense of community, passion for the sport, and welcomed riders of all levels. Since that time Horse Show Ventures has produced all levels of shows from schooling shows, locally rated series in Georgia, North Carolina, South Carolina, Alabama, Florida, and Arizona. as well as USEF A & C rated shows throughout the region. Morgan's family has been involved in equestrian sport for three (now five) generations, starting with her Grandmother pioneering the way with a pony breeding farm in Amherst, Ohio in the 1930's. Morgan owned and operated Hidden Hill Farm in Alpharetta, Georgia which was a training and boarding facility, rehabbing off-the-track Thoroughbreds into show horses long before TIP became a reality. Morgan now lives in Scottsdale, Arizona and when not traveling to produce horse shows, she works as a nonprofit Development Consultant for organizations across the country. She has raised over 3 million dollars for causes that include homelessness, pet rescue, education, and the elderly. ​Regan Sundius is one of those kids that quite literally grew up in the barn and at the shows. Coached by her older sister, Chelsea (Sundius) Roche, Regan began showing in leadline classes at age 2 and continued showing in local hunter jumper shows in the southeast while growing up in the family's horse show production business. Regan has worked closely with her sister, Chelsea, riding, training, and working as a groom. 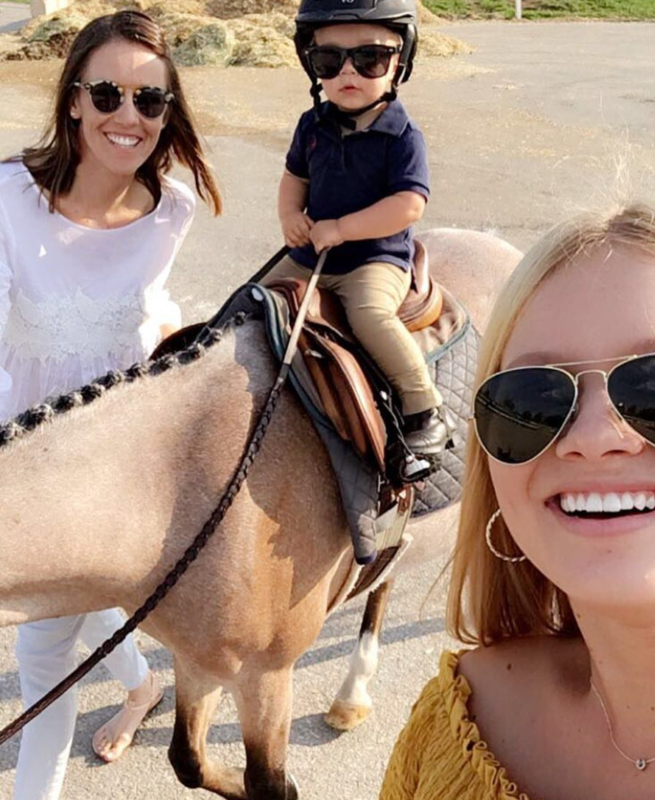 While completing her degree in Communications from the University of Georgia, Regan taught riding lessons a local farms in the Athens area and worked at the horse shows. Regan continues to bring her expertise to the show series as a Show Manager and technical coordinator. She also serves the Pensacola Hunter Jumper Association as a board member and technical coordinator of the show series. Regan loves animals (still hoping for a pet goat one day), enjoys traveling to see her sisters and her ever expanding pack of nieces and nephews, as well as hiking, kayaking and running. Chelsea (Sundius) Roche began horse showing at age five at Our Farm, Lansdale, Pennsylvania and has never looked back. She competed in local and USEF rated shows across the southeast as a child and later as a young adult she rode and worked her way through the University of Kentucky (B.S. Marketing) as a professional riding for hunter/jumper trainers, starting yearlings at the thoroughbred farms and showing them on the line at the Keeneland sales. Chelsea co-owns and manages JR Show Stables with her husband John Roche. They are based in Wellington, FL and Lexington, KY and show and compete at USEF and FEI shows across the United States and internationally. Chelsea's broad experience as a both a hunter and jumper rider allows her to bring expertise to the Horse Show Ventures and Pensacola show series as a course designer and consultant and Pensacola Hunter Jumper Association board member.